Full of character and charme (Mas is the provencale word for farmhouse), a traditional old farmhouse tastefully restored in provencale style, located in the heart of Provence. This property offers you 4 nice comfortable rooms and 1 suite. 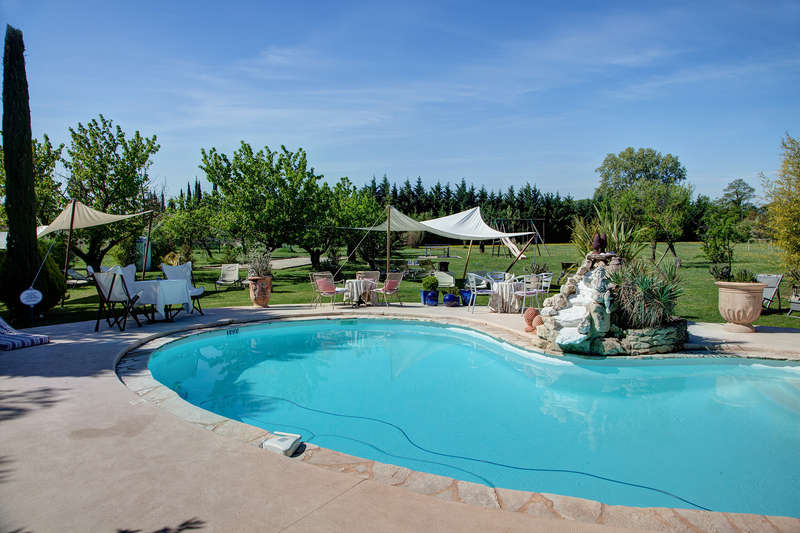 All this is set on 2 hectares with a swimming pool, relax area and free parking . The situation is perfectly positioned for touring and exploring the Provence. Enjoy our visit ! 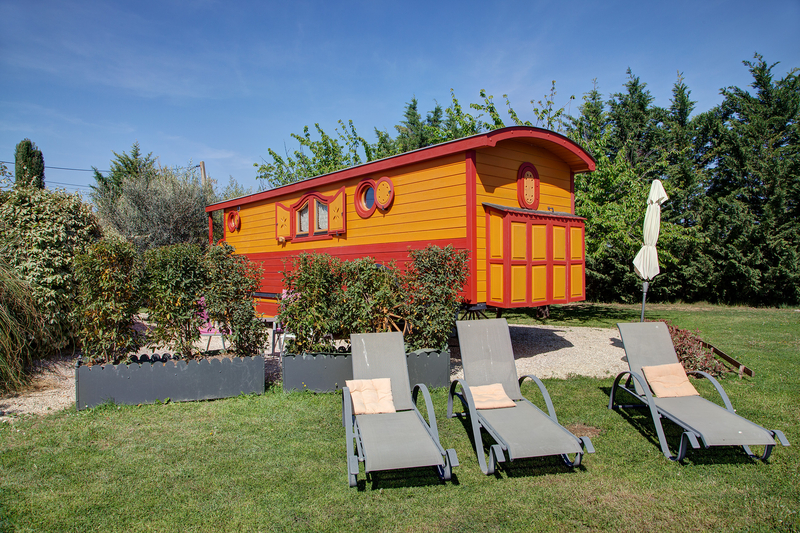 Come in and feel like « home » in our Gyspy wagon which can accommodate 2-3 persons. Happiness is the satisfaction of the mind through the body. It is the Joy of the soul that preserves the health of the body. – in winter: in our cosy dining rooms in front of a nice and warm fire. The rooms war bright and offer you a nice comfort with beautiful view on the garden. They are all personalized with great attention to detail to ensure a memorable stay. Welcome to the Mas du Grand Jonquier ! Here you are in our home, a real Provencal Mas of 18th century, typical for the region. Bed and breakfast in one our comfortable rooms or a stay in our Gypsy caravan and breakfast included. The property is located in Lagnes, in the department Vaucluse, Provence-Alpes-Côtes d’Azur region in the Luberon. Wake up in the morning with the sun, Van Gogh sky and breath the pur air of Provence, listen to the cigadas singing in our big garden, go for a early morning swim. Or enjoy our relaxing corners, the trampoline, ping-pong table, chessboard. There is something of interest for everyone. 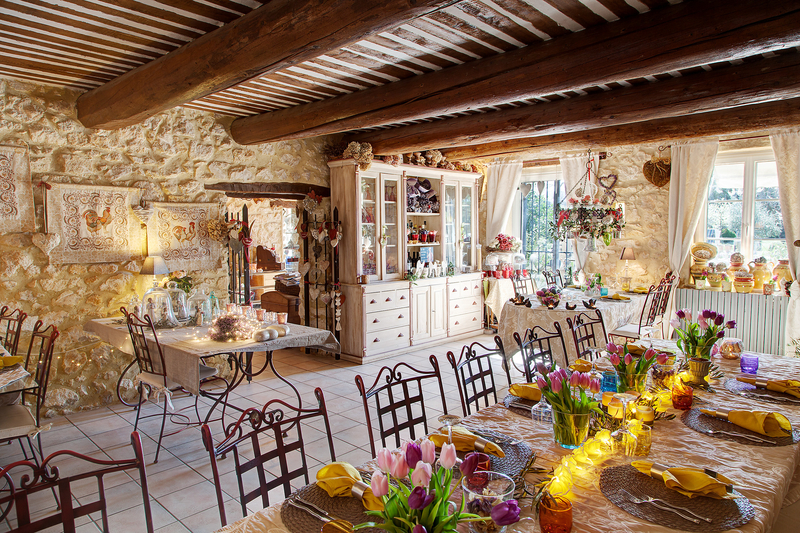 Le Mas du Grand Jonquier is member of the Association Esprit Provence, a private community of charming Bed and Breakfast and House rentals in Provence.